This is an unusual show in the best possible sense. It is ambitious, uncompromisingly intelligent and it’s fair to say, rather difficult to categorise. Fortunately, though, it is also visually dazzling. 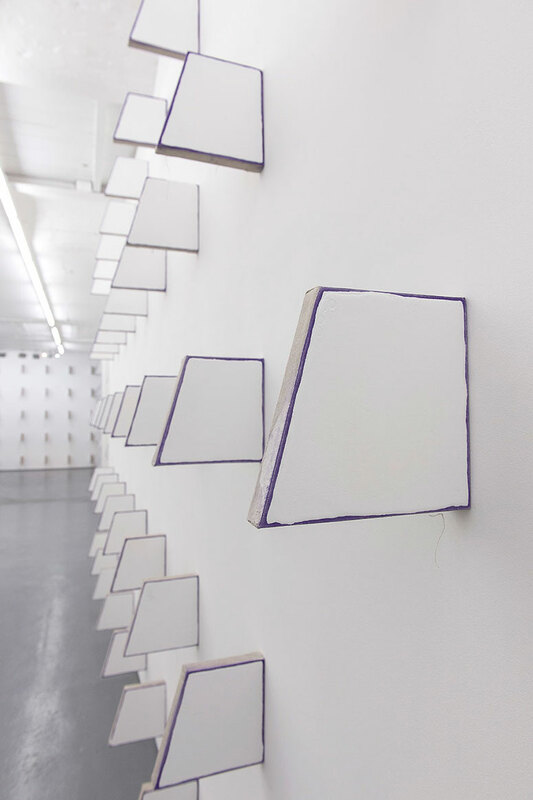 Recent art-school graduate Finbar Ward has created more than 300 identical wedge-shaped linen panels, painted violet and white and mounted so as to protrude from the gallery walls at even intervals. It’s an idea that owes much to the minimalism of Donald Judd, and the effect is a Zen-like installation that transforms the gallery’s basement into a space resembling the temple of a cult. There is something incredibly evocative about the colours that Ward has daubed onto each of these panels – the contrast of violet and white is distinctly Mediterranean. For collectors, Ward is undoubtedly one to watch. You needn’t have the slightest interest in conceptual art to be astonished by the overall effect of this show. Prices on negotiation, starting from £3,400. 158 New Cavendish Street, London W1 (020-7436 8050). Until 7 May.